In addition to our own Webnet products, our category cable and connectivity range also includes selected products from partners and affiliates, including the Brand Rex Cat6Plus and Gigaplus Cat5e ranges, and a variety of network data cabinets. Our Webnet range of cables includes Cat5e, Cat6, Cat6a, and Cat7 cables suitable for use on Local Area Network (LAN) Solutions. Webnet cables come with either solid or stranded conductors. The unscreened (U/UTP) versions of our Cat5e and Cat6 cables are HDBaseT approved., and the whole of our Webnet cable range complies with ISO/IEC 11801 ed 2.1 (2008) Class D, TIA 568.C.2, and ISO/IEC11801 standards. A range of screening options, sheath types, and colours are available. View our Webnet category cable range. We offer a range of connectivity solutions, including 1U and 2U patch panels up to 48 port, patch cords, and tool-free snap in jacks. Our range also includes wall mount and floorbox type modules, as well as faceplates in both singlegang and doublegang configurations. Our connectivity product range includes both our own Webnet branded products, and select items from other manufacturers. Our extensive network of partnerships enables us to offer a wide variety of network data cabinets. Available in many different sizes with a wide range of widths and depths, our range of cabinets have a modular construction and a wide selection of cable management options and accessories. 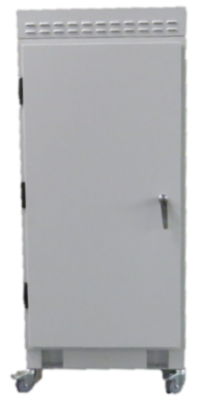 The cabinets are designed for maximum thermal and space efficiency, and are available in a wide range of colours, and are suitable for telecoms, data centre, server room, and office environments. Our cabinets have been used in many major improvement projects on the London Underground network. View our network data cabinet range. The majority of the cable and connectivity products available in our Webnet range of products are available from stock for collection or delivery. Orders placed before 5pm can be delivered next day subject to confirmation at time of order. Please contact us for more information.